The market of your actions for your photo/works this are the best for you. Easy to use. The Real and the best effects for your photos/works. High detailed wine bottle mock-up in three different shapes. Changeable color of bottle and neck. Designed for presentation and print. Editable photoshop smart object layers. 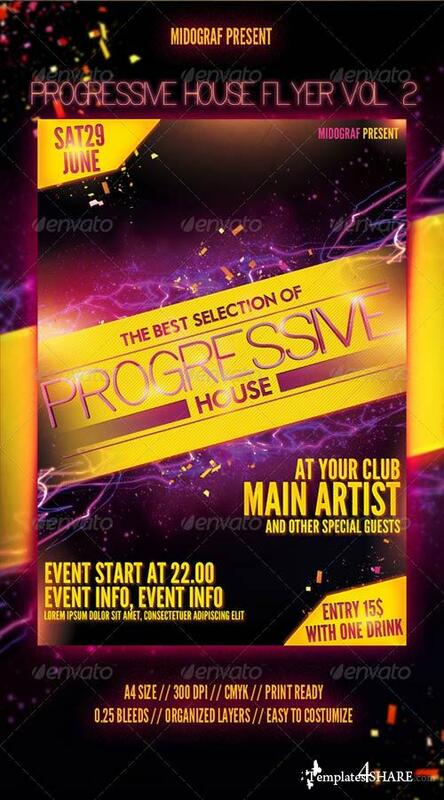 Progressive House Flyer Vol.2 Template Use this flyer for any Electro/techno/House/Progressive party, club, concert, festival or whatever you want.